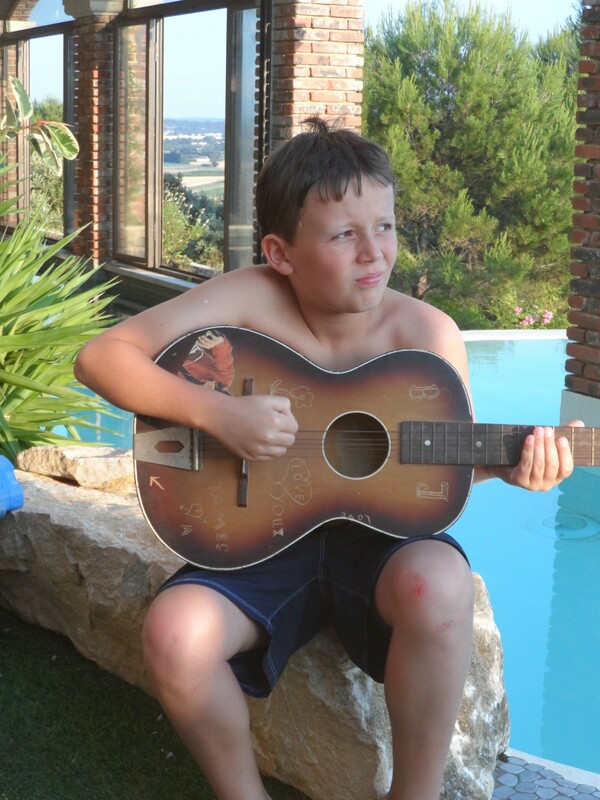 Thomas 10', loves music, would like to learn how to play guitar by himself, and plays golf as a passion since he is 4'. We are coming back from USA (Florida) and we offer a room in a contemporary villa situated around Seilh Golf Resort. The student will have a private room fully furnished with a private bathroom, WIFI. Car parking Secured and privatized. And the use of the private swimming pool. Walking distance to the Tram Station Aeroconstellation, with very convenient connection to all Toulouse's utilities. We are asking nothing for the accomodation. In exchange we claim to care about Thomas after school home work, and depending of your schedule, you will care about wednesday afternoon, and saturday when daddy is not present. We provide food, considering we are vegeterian. You will have to care certain week day evening, and week-end evening when parents are away. We offer, also ski week-end, and popular european visit if willing to join the family trip. One thing is mandatory, speak, talk, discuss, only in english with Thomas and Aurelie when at home. You will be free of Thomas's charge during vacation and bank holiday.